OTTAWA – April 21, 2015 – Recycle My Cell, Canada’s free cell phone recycling program, is calling on Canadians to join in the Earth Day celebrations on Wednesday, April 22 by making sure that all those old cell phones in our junk drawers are recycled responsibly. Canadians can visit the bilingual Web site – www.RecycleMyCell.ca and www.Recyclemoncell.ca – and enter their postal code to locate the 10 drop-off locations closest to them where their old wireless devices will be accepted, regardless of brand or condition. If a consumer cannot get to one of the drop-off locations in their neighborhood, the Web site offers printable postage-paid labels that can be used to mail the device back to Recycle My Cell at absolutely no cost to the consumer. 875,366 wireless devices were recovered in 2014. 5,757,957 wireless devices have been recovered since 2005. Recycle My Cell offers more than 3,600 drop-off locations across Canada. RecycleMyCell.ca experienced more than 15,000 searches for drop-locations in 2014. On average, Canadians had used their current phone for nearly two years (21 months). Canadians had owned on average three or four cell phones prior to their current one. Two in five Canadians (40%) stored their old handset when a new cell phone is obtained; 22% gave it away or sold it; 10% recycled it; 9% returned it to a store or their cell phone company; and 5% threw it away in the garbage. Half of Canadians (50%) were aware of recycling programs for cell phones. Satisfaction with the Recycle My Cell program was very high. Over four in five users (84%) assigned a positive rating to their cell phone recycling experience. Earth Day also marks the launches of Recycle My Cell’s “What in Your Drawers?” community challenges in Alberta and Newfoundland and Labrador. Non-profit and community organizations in those provinces are challenged to collect as many old cell phones as possible between April 22 and May 22, 2015. The group in each province that collects the most wireless devices will receive a $500 prize. 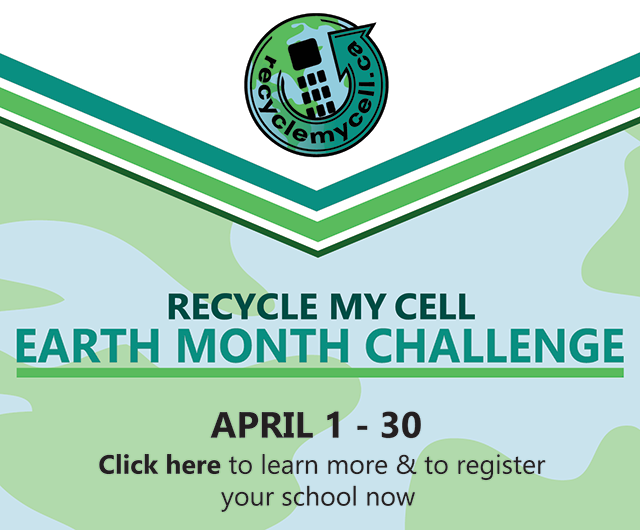 For registration and complete challenge rules, please visit www.RecycleMyCell.ca/Whats-in-Your-Drawers-Challenge. Businesses and community organizations across the country can also support the Recycle My Cell program by hosting a drop-off location year-round. Registration is quick and easy, and pre-paid shipping and promotional materials are provided at no cost. For more information, please visit www.RecycleMyCell.ca/host-a-drop-off-location or contact info@RecycleMyCell.ca. Recycle My Cell is Canada’s national recycling program for mobile phones and accessories. The bilingual Web site – www.RecycleMyCell.ca and www.Recyclemoncell.ca – allows consumers to simply enter their postal code to locate the 10 drop-off locations closest to them where their devices will be accepted, regardless of brand or condition. The free program is run by the Canadian Wireless Telecommunications Association (CWTA), in conjunction with cell phone carriers, handset manufacturers and approved processors, who have come together to raise awareness about the importance of cell phone recycling. The program’s partners include: Bell, BlackBerry, Eastlink, GEEP Inc., Google, GREENTEC, LG Electronics Canada, Inc., Lynx Mobility, Microsoft, MTS, ProMobility, Rogers Communications, Samsung Electronics Canada Inc., SaskTel, Sony of Canada, Tbaytel, TELUS, Videotron, and Virgin Mobile Canada.